Dinners in our home often feel hectic, but Sunday morning breakfasts are a nice, relaxing tradition. Ours involves pancakes, maple syrup, bacon and fruit. 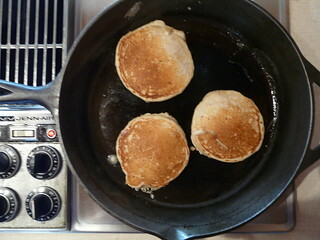 Here I'm sharing my recipe for kefir flax pancakes. What is your Sunday breakfast tradition?